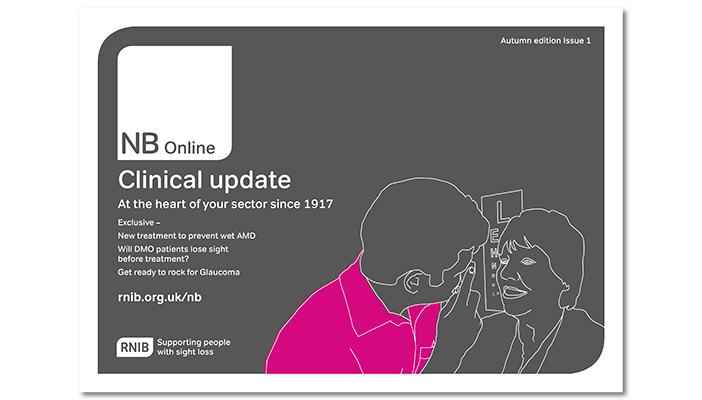 NB Online has launched a free new product aimed at providing the latest research and clinical advances to eye health and sight loss professionals. The quarterly publication is aimed at keeping professionals up to date with ground breaking research and innovation at its highest. It will also highlight RNIB campaigns and encourage you to get involved in issues that affect you. The first edition contains information on what could be a new and successful treatment to prevent age-related macular degeneration as well as potential treatments for glaucoma. Plus our cut out and keep map provides the eligibility criteria for patients wanting treatment for DMO. NB Online Editor Olufunmi Majekodunmi said: " We hope the update is welcomed by professionals and that they share information from it with colleagues. clients and patients"